Unlike tablets that contain binders, fillers, magnesium stearate or stearic acid (which may inhibit absorption), our vegetarian capsules dissolve quickly in the digestive tract. In addition we provide the active, readily usable forms of vitamin B2, B6, & B12 while using the most soluble and absorbable mineral chelates (krebs) as bound to citrate, aspartate-malate. 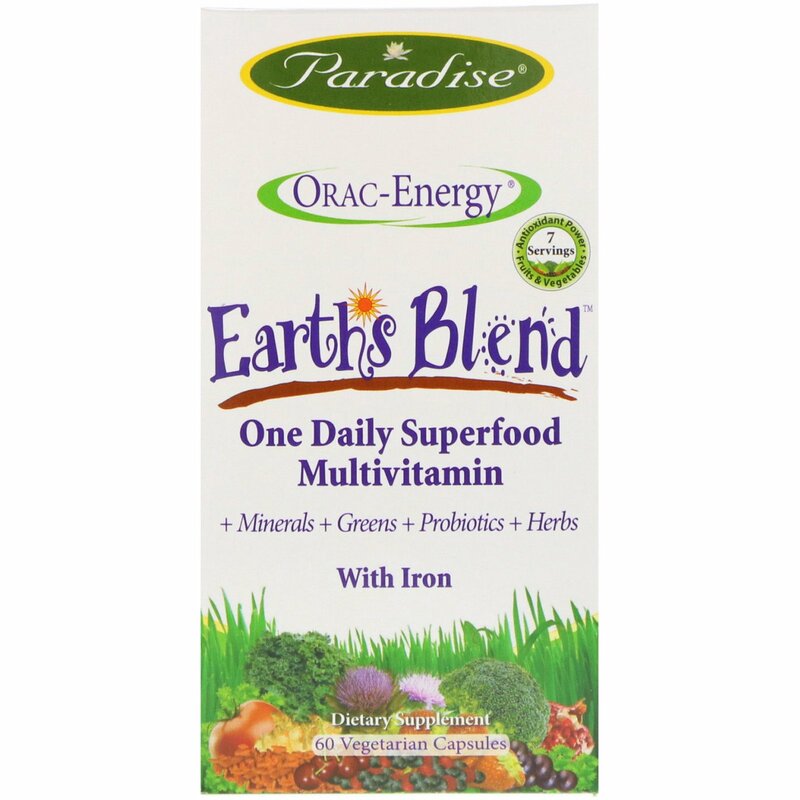 Paradise award winning ORAC-Energy Earth's Blend is truly a Nature Synergized superfood multivitamin. Our formula uses real whole-food goodness paired with vitamins, probiotics and herbs to go beyond mere deficiencies and help support overall whole system health. 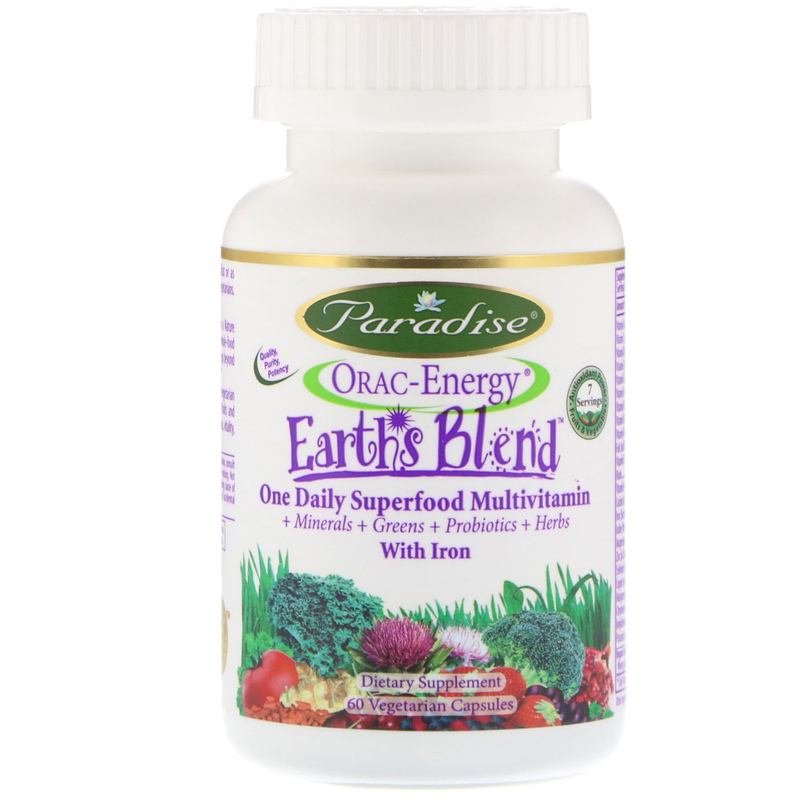 Based on our original ORAC-Energy Greens formula, just one vegetarian capsule provides the antioxidant powder of over 7 servings of fruits and vegetables (4000+ ORAC) while supporting overall energy, vitality and amino acids. Free radicals are reactive species that have adverse effects on normal physiological functions. 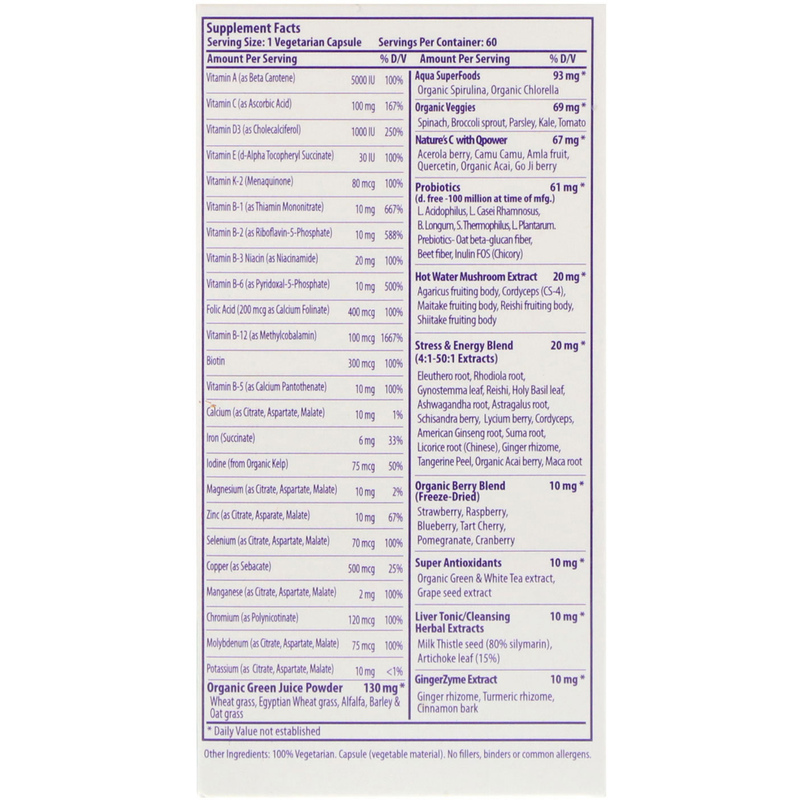 The five major types of free radicals, (hydroxyl, peroxyl, peroxynitrite, single oxygen, and superoxide anion), can be associated with a wide range of conditions. Antioxidants can function as a vital line of defense against free radicals by blocking their attack on DNA, vital proteins, lipids, and amino acids. As with any supplement, if you are pregnant, nursing or taking medication, consult your doctor before use. Do not use if either tamper-evident seal is broken or missing. Not formulated for children. Accidental overdose of iron-containing products is a leading cause of a fatal poisoning in children under 6. Keep out of the reach of children. In case of accidental overdose, call a doctor or poison control center immediately.